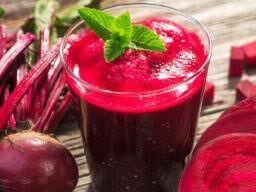 Tens of millions of people suffer from heart failure and in about half of all such people, the ejection fraction of the heart is reduced.These patients exhibit labored breathing, have diminished peak oxygen uptake and use more energy while exercising .According to a new proof-of-concept study,the researchers have found that Beetroot juice may help patients with heart failure as it significantly increases exercise duration, peak power and peak oxygen uptake while exercising.The study, titled “Dietary Nitrate Increases V02 peak and Performance but Does Not Alter Ventilation or Efficiency in Patients with Heart Failure with Reduced Ejection Fraction,” was published in the Journal of Cardiac Failure. Beetroot juice increases exercise capacity in heart failure patients which is a key factor linked to these patients’ quality of life and even survival.The study examined the impact of dietary nitrate in the form of beetroot juice supplements on the exercise capacity of eight heart failure patients with reduced ejection fraction, a condition in which the heart muscle doesn’t contract effectively and can’t get enough oxygen-rich blood to the body.Researchers found that the beetroot supplement resulted in significant increases in exercise duration, peak power and peak oxygen uptake while exercising. Those improvements were not accompanied by any changes in the breathing responses of the patients, and there was no change in their exercise efficiency, a measure of how much external work a person gets for a certain input of energy. The data suggests that dietary supplementation may be a valuable addition to treatment for exercise intolerance among heart failure patients with reduced ejection fraction, Coggan said. Multi-center trials are needed to confirm the proof-of-concept findings and to determine whether longer-term dietary nitrate treatment improves physical activity levels, quality of life and perhaps even survival in patients with heart failure with reduced ejection fraction.